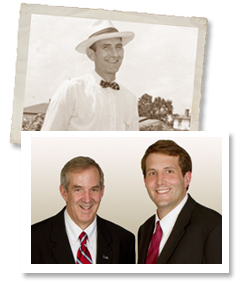 Three generations of Cross Realty management: Clockwise from top – Harry Lee Cross, Jr., Lee Cross and Harry Lee Cross, III. Since 1953, Cross Realty has represented buyers and sellers in South Hampton Roads. Our independent firm is locally owned and operated, and our award-winning real estate agents and on-site broker are committed to making your real estate transactions easy—and successful. With an in-depth knowledge of local neighborhoods, communities, schools and more, the Cross Realty team will put our experience to work for you. Wouldn’t you rather do business with a local company with ties to the area? Stop by our office today, give us a call or reach us online, anytime! We have the best agents in the business ready to help you buy, sell, or rent your property. Meet our team, and let us know how we can help you. A broker who actually takes the time and has the time to help his agents. Call Harry today at 757-434-9084 to schedule a confidential meeting.